New science fiction model and illustration. This illustration now available from Fotolia/Adobe Stock &etc. The model will be featuring in more illustrations soon! 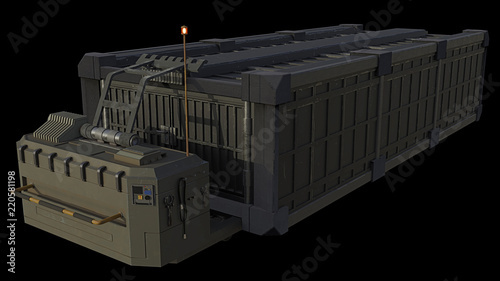 Download the royalty-free photo “Transport Container and Trailer – science fiction illustration isolated on black” created by Algol Designs. Model & illustration ©Algol Designs, all rights reserved.